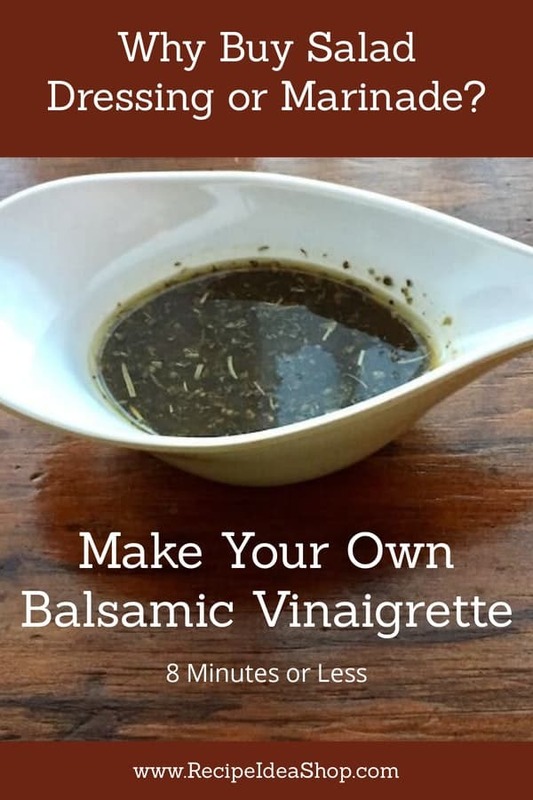 Balsamic Vinaigrette. So much better than store-bought dressing. And it takes 8 minutes to make. Hi. 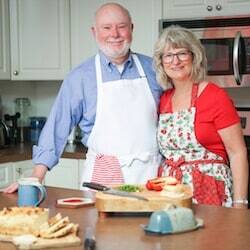 It’s Lois in the kitchen at Recipe Idea Shop, telling you about a terrific Balsamic Vinaigrette. We had some beautiful Portobello Mushrooms and decided to grill them with this Vinaigrette. They were super yum! Balsamic Vinaigrette is excellent and essential in Grilled Portobello Mushrooms. This dressing is terrific on a salad or as a marinade for vegetables, meat or chicken. 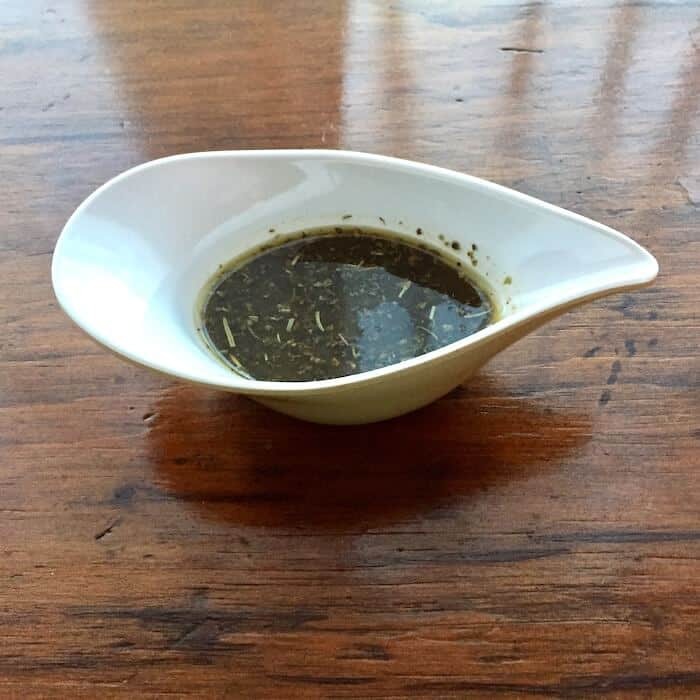 The vinaigrette originally comes from Michele Anna Jordan’s Vinaigrettes and Other Dressings cookbook. The shallots and garlic, along with the honey, make this salad dressing nearly irresistible. I mince my shallots using a garlic press, which makes it very easy. 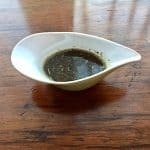 A robust vinaigrette to use on salads or as a marinade. Whisk all of the ingredients in a small bowl or measuring cup. Use immediately or refrigerate, covered, up to a week. To use on grilled Portobello mushrooms or other veggies, simply drizzle over the vegetables and grill for about 5-6 minutes a side. Amazing! Balsamic Vinaigrette Nutrition Label. 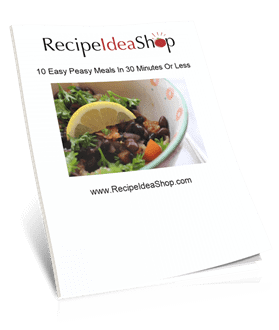 Each serving is 1 1/2 tablespoons. 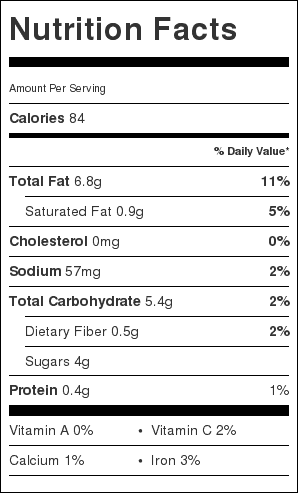 Grilled Portobello Mushrooms Nutrition Label. Each serving is 1/4 cup Vinaigrette and one Grilled Portobello Mushroom Cap.